The contents of the StopAfib.org web site are provided "as is" for general information only, and are not intended as medical advice. This site also contains hypertext links to web sites created and controlled by other organizations. These links are provided for your convenience and are not intended as an endorsement by StopAfib.org or as a warranty of the information they contain. Most pages of this site can be translated into other languages by selecting a language from the dropdown box at the top of the page. These translations are provided by online translation software powered by Google Translate. Machine translation is not perfect, and this is provided for your convenience. These translations are not part of our web site and we have no control over them. Use of this tool is at your own risk. We cannot be responsible for any issues or loss incurred as a result of your use of Google Translate. We here at StopAfib.org are not medical doctors or trained medical personnel and cannot guarantee 100% medical accuracy. By accessing the information on this web site, you agree that StopAfib.org shall not be liable to you for any loss or injury. In no event will StopAfib.org or the contributors of information to this site be liable to you or anyone else for any action taken by you in reliance on such information. StopAfib.org does not recommend, endorse or make any warranties or representations of any kind regarding the accuracy, completeness, timeliness, efficacy or noninfringement of any programs, materials, products or other information provided by this site or by companies or organizations linked or referred to in this site. Doctors and facilities that are listed in the StopAfib.org Atrial Fibrillation (Afib) Services Locator are the providers of the information in the locator and are thus solely responsible for their content. 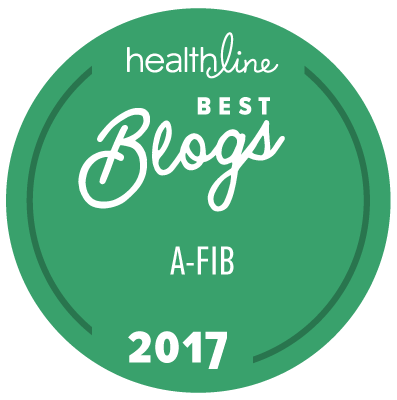 Where there are patient reviews of doctors or facilities, those reviews are solely the opinions of the providers of those reviews, not of StopAfib.org or the American Foundation for Women's Health. In some cases, providers of patient reviews are not identified since doing so could jeopardize employment or personal situations. Only positive reviews are accepted, so a plethora of reviews would tend to indicate more experience and more happy patients. If you have a problem with a doctor or facility, we urge you to discuss that directly with them. This is not a forum for airing grievances. Unless otherwise indicated, StopAfib.org holds the copyright to all materials on this site or has licensed the rights to them, including text, graphics, logos, icons, images, audio/visual clips and design. Additionally, StopAfib.org owns all of the trademarks, service marks and logos ("Marks") used and displayed on this site, unless otherwise noted. Without explicit consent from StopAfib.org and the American Foundation for Women's Health, no material from this site, including the Marks, may be copied, reproduced, displayed, republished, downloaded, posted, transmitted or distributed in any way. Any unauthorized use of materials contained on this site may violate copyright, trademark and other laws. You agree that you will hold harmless StopAfib.org and the American Foundation for Women's Health, its officers, directors, employees and volunteers from all claims arising out of or related to your access or use of, or your inability to access or use, this site or other sites to which it is linked. In no event will StopAfib.org and the American Foundation for Women's Health or the contributors of information to this site be liable to you or anyone else for any decision made or action taken by you in reliance on such information or for any consequential, special or similar damages, even if advised of the possibility of such damages. If your use of materials from this site results in the need for servicing or repair of equipment or data, you will assume all costs.